A September 21 Gallup survey concluded that, “At no point in the last four decades have Americans expressed less trust than they do today in US political leaders or in the American people who voted those leaders into office.” Indeed, only 42 per cent of Americans trust their political leaders and just 56 per cent trust other Americans. The moderators of the 9 October presidential debate should ask the candidates why this “trust gap” continues to expand and what can be done to close it. Without a fundamental understanding of why Americans are so distrustful, and without a plan for restoring faith in leadership, our next president will struggle to lead. We are a nation of skeptics. Most of us don’t trust that either candidate is being 100 per cent honest with us about their health, their finances, their professional transactions, or their political intentions. 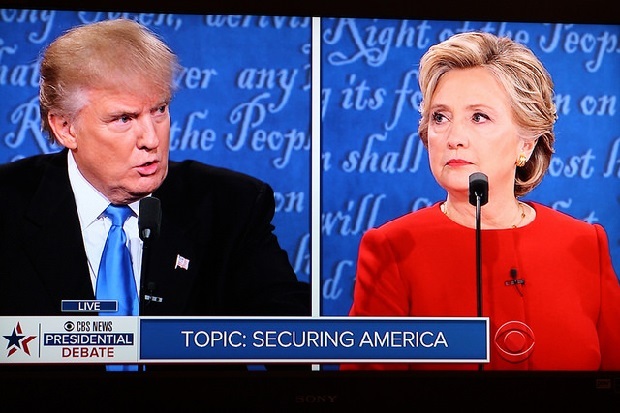 During the 26 September presidential debate, the topic of candidate transparency generated a heated back-and-forth between the candidates. Why won’t Donald Trump release his tax returns? Why did Hillary Clinton delete emails? “What are they hiding?” we wonder. The answer is anyone’s guess. It is the lack of publicly disclosed information that causes us to question what we don’t know. More transparency would go a long way in restoring our faith in political leaders—and best of all, it’s an achievable goal. Consider the recent example set by Mexico. In an August 2014 television interview, Mexican President Enrique Peña Nieto described widespread corruption in his country as a “cultural problem.” The public reaction was predictably swift. Many Mexicans angrily proclaimed their leaders and institutions—not their culture—corrupt. A few months later, when Peña Nieto and his wife found themselves at the center of a major corruption scandal, his critics demanded accountability. Reports alleging that a government contractor built a lavish, white house valued at more than US$7 million for the president and first lady led to accusations of quid-pro-quos. Peña Nieto avoided official charges, but the “Casa Blanca” scandal badly tarnished the president’s reputation. Candidates and elected officials responded. By Election Day, over 300 candidates had publicly disclosed their assets, interests, and tax returns, including all of the nine governors elected in 2015. In the following months, civil society organizations collected over 634,000 signatures (more than five times the number required) to introduce an anti-corruption citizen initiative to Congress. The initiative was part of a broad package of anti-corruption reforms that was approved by Congress and enacted on 18 July 2016. Included in the reforms is a requirement that all public servants disclose assets, interests, and proof of tax payments, starting in 2017. 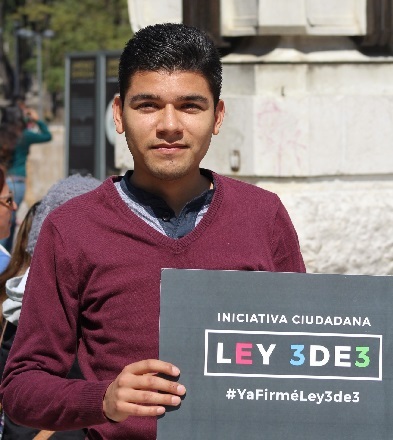 To date, 50 per cent of Mexico’s governors, 21 per cent of the Senate, 25 per cent of House members, and over 300 high-level public servants from state and municipal cabinets have already voluntarily disclosed. Americans should expect the same of their leaders. The presidential campaign has demonstrated that transparency is not a partisan issue. Voters on both sides of the aisle are calling for more transparency from the candidates. More disclosure would assure them that their voices are being heard, not ignored. Restoring the public’s faith in leadership requires understanding that secrecy fuels suspicion. The presidential candidates should commit to lead by example. This blog first appeared on the Transparency International USA website on 7 October.